Connects to the Amiga Parallel Port. Also has two LEDs, built in microphone, and a volume indicator. 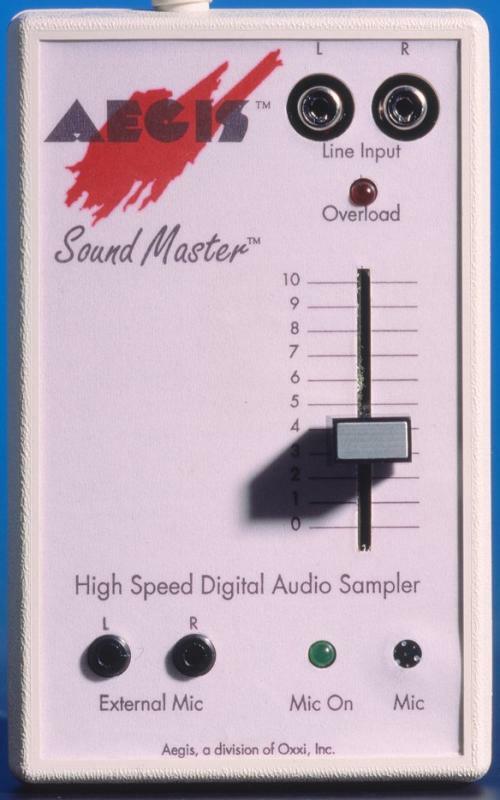 This was usually supplied with the sampling software Audio Master.